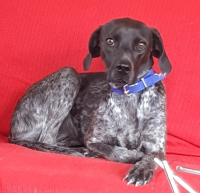 Those of you who follow the TV newsletter might like to know that our foster dog Rose (shot twice, kicked and dumped) has today started her journey to her forever home in Devon. From a timid frightened dog, she has become a confident young lady ready to start her new life. 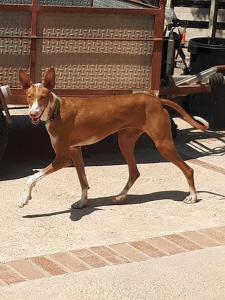 There were a few tears in the Rainbow house as she went – she had become part of this family, but yesterday we collected Shanti, a part Podenco, found wandering the campo, who needs a foster place until we can find her forever home. If you are looking for a permanent dog, give Friends of Mazarrón Animals a try. We can usually send to UK, but if you live out here in Spain, consider becoming a fosterer. We always need people. There is a danger of becoming a ‘failed fosterer’, as one of our clients called herself and she now has 6 dogs! Giving these dogs up to a new permanent home means you can start again to give another a chance. We have mentioned this before, but we are getting more and more requests for help and the answer is ALWAYS negative! 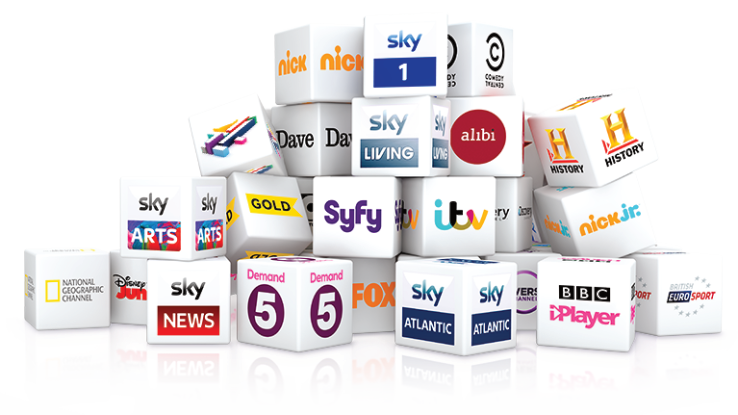 Many of you have a multi-room SKY box paired to a relative or friend’s main system in their UK house – technically ‘doubley illegal’ as when taking out a SKY contract, we agree not to take the card outside the UK and when ordering a multi-room, we agree that the new box will only be used in the same house as the main box – but many of you do it! 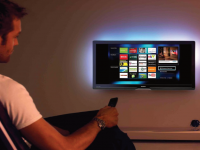 The problem is that if the UK household goes to the new SKY Q system – and all SKY subscribers are being pressurised to swap – the Q multi-room system will NOT work out here. 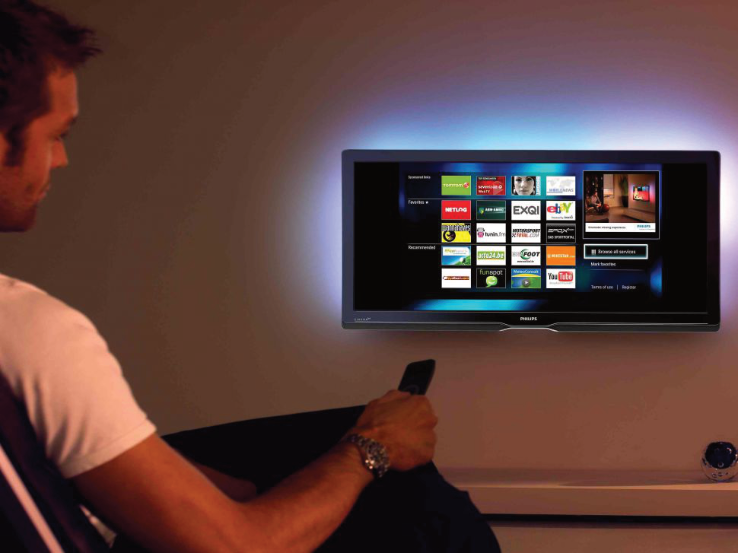 Q uses one main central digibox and all the additional multi-rooms use a WIFI or hard cable to the main box. The additional boxes do not have satellite receivers in them – only the main box – so a multi-room box cannot work outside the WIFI signal of the main box. Beware all you multi-room users!! On the subject of SKY Q, it also uses a special Q LNB which will NOT fit the majority of dishes we use down here, so do not bring your SKY Q on holiday with you as many subscribers do with the old type boxes. A final problem of Q is that you cannot ‘mix’ standard antenna signals with the SKY satellite signals like you could with the old system – so you could have FREEVIEW and SATELLITE in one cable, but as Q uses the standard antenna frequency as well as the satellite frequency, mixing is no longer possible. Our advice is steer clear of Q in all its forms in Spain. On the subject of TV by satellite the signals; this summer are the weakest we have ever known in 20 years of installing UK TV down here. In the south of the region, all but 1.90m dishes are struggling with 24/7 all channel TV and even they have some unobtainable channels. Heading north, things do get better, but still signals are so weak. We expect the winter to bring back stronger signals, but they never seem to get back to the levels of the previous winter. Rainbow still predict no UK satellite TV at some point in the future – 5 years? 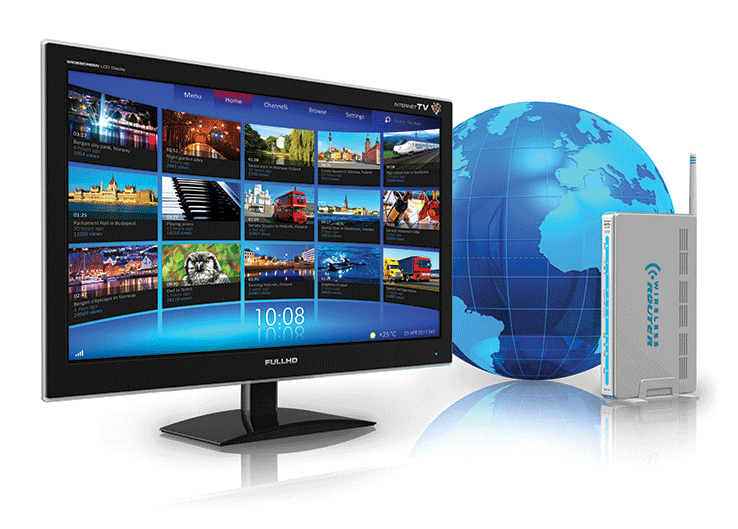 Internet TV (IPTV) is the way forward and should be the first choice for anyone setting up a UK TV system. There are so many options that you really do need to speak to an expert before deciding the route you will spend your money and not waste it. Rainbow Satellites are happy to come and talk all options with you, demonstrate systems and leave you with a loan box for a few days to ensure your choice is the right one. Contact us for an appointment. Finally, just a note about UK radio – it is available on ANY UK satellite system. We are often asked if we can provide it and it is already on the system! Most IPTV systems have UK radio. Article sponsored by Rainbow Satellites the official registered company for all your TV/Radio needs in the Murcia region of southern Spain.